News broke yesterday that that sensational Kumawood actress, Benedicta Gafah is pregnant for Nana Ama Mcbrown’s husband, Maxwell Mensah. The report went on to say she is 6 months pregnant for the young man. According to the reports, Mcbrown has found about the illicit affair and has angrily expressed her anger towards Benedict for her betrayal. She has even unfollowed Benedicta Gafah on Instagram and all her social media handles (That, Ghpage.com can confirm). But Benedicta Gafah has subtly reacted to these rumors. First, she shared a short video on her Instagram page of a pastor preaching about haters. The pastor could be heard saying all those who do not like him should take it up with God. This is to say all those who do not like her should shove it and concentrate on their own lives. She means to say all those rumors are being put out by her haters. A few hours later, Benedicta Gafah again shared a full picture of herself with the caption “Grateful for the gift of life #highlyfavored#itcanonlybegod #adom”. From what we gathered, the full sized picture was Benedicta Gafah’s way of telling her ‘critics’ that she is not pregnant. Well, just as I always say, pregnancy is not something you can keep hidden forever… Time will either vindicate her “critics” or her, let’s wait and see. 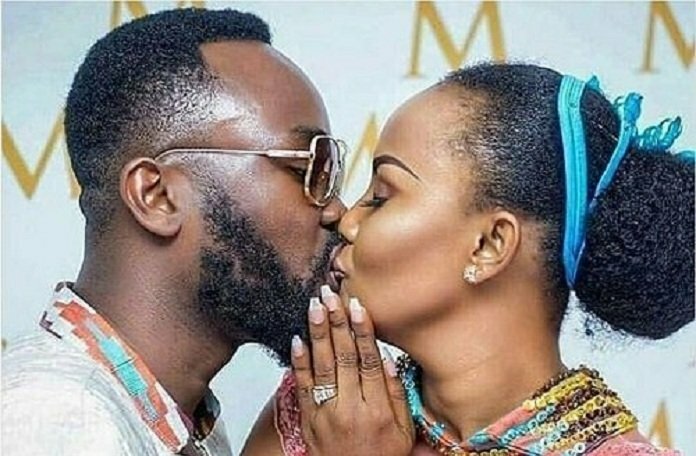 By the way, there is a new rumor that the Mrs. herself, Nana Ama Mcbrown is pregnant. If it turned out to be true, Mcbrown’s deepest heart desires would have been fulfilled.